From late 2014 until now, the ratio of lending to deposits (LDR) and the ratio of short-term funds used for medium and long-term lending of the commercial bank system have risen fairly fast. Meanwhile, the average interbank interest rates in the early months of 2016 have been fluctuating at high levels and deposit rates have continuously been raised. In addition, the State Bank of Vietnam (SBV) expected to reduce the ratio of using short term funds for medium and long-term lending to 40 percent and committed to carry out flexible capital injection and withdrawal in order to reasonably regulate liquidity. These issues have indicated that there are concerns about liquidity of the banking system. In the first half of January 2016, interbank interest rates slightly fell by 0.225 to 0.1 percent compared to the previous time, thanks to the intervention of SBV, although the demand for short-term capital increased in the end of 2015. However, the liquidity of the system has shown signs of stress, seen through the high level of overnight rate (4.675 percent per annum), one-week interest rate (4.86 percent) and one-month interest rate (4.9 percent per annum). At the same time, some commercial banks have started to increase deposit rates on short terms by 0.2 to 0.5 percent per annum. In the second half of January and early February 2016, the interbank interest rates strongly increased when the liquidity demand soared during the Lunar New Year season. Although SBV has significantly net injected capital into the system, overnight, one-week, and one-month interbank interest rates still rose to 5.1 percent per annum, 5.2 percent per annum and 5.2 percent per annum, respectively. According to forecast, the interbank currency market in 2016 will fluctuate more complicatedly than in 2015 if SBV does not have strong support. Despite being ensured, the liquidity will not abundant and will be stressful at some points of time. 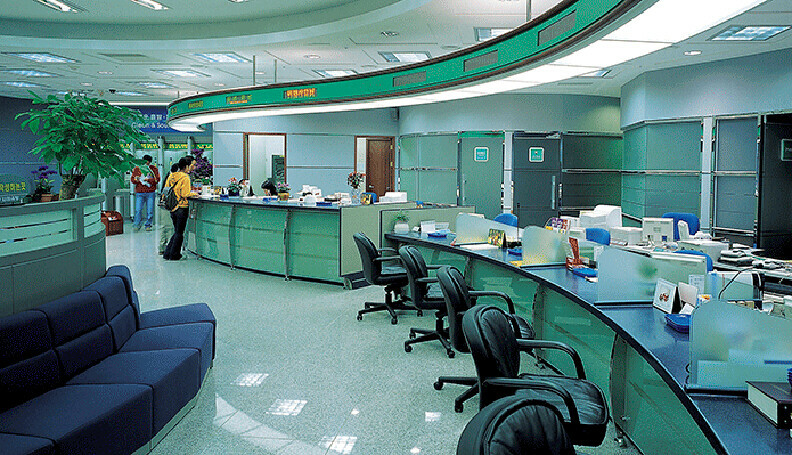 In addition, the interbank interest rates in 2016 will be maintained at high levels at an average of about 4.3 percent per annum, in particularly one-week interest rate will range from 3.5 percent to five percent per annum, according to the research group at Commercial Joint Stock Bank for Investment and Development of Vietnam. In the second half of February 2016, when the liquidity demand of the system was no longer high after the Lunar New Year holiday, interbank interest rates significantly fell to 1.22 percent per annum on overnight term, 1.7 percent per annum on one-week term, and 3.5 percent per annum on one-month term. Nevertheless, in the first half of March, the liquidity demand of the system again became stressful, reflected through the surge of interbank interest rates by about 0.78 percent to 2.18 percent on overnight term to one-month term, due to the strong increase of short-term funds at commercial banks. Specifically, interbank rate reached 4.21 percent per annum on overnight term, 4.325 percent per annum on one-week term, and 4.6 percent per annum on one-month term. Along with such developments, some banks have begun to raise 36-month deposit rates to above eight percent per annum. As announced by SBV, on March 22nd, the interbank rates fell to 3.71 percent per annum on overnight term, 3.88 percent per annum on one-week term and 3.96 percent per annum on two-week term, but increased to 4.67 percent per annum on one-month term. On the data system of SBV, LDR, the important indicator for reference on capital balancing and liquidity situation of the system, also shows that liquidity currently exposes potential risks. In particular, the LDR in January 2016 reached up to 99.11 percent at state-owned commercial banks and 79.5 percent at joint stock commercial banks, respectively compared to the 97.22 percent and 78.49 percent in late 2015. Previously, in late 2014, LDR of state-owned commercial banks was only 90.74 percent. In 2010, SBV issued Circular 13 regulating that the maximum limit of LDR is 80 percent. This regulation was then removed in September 2011, explained as to help unfreeze the capital flows of the banking system to the economy. However, the removal of LDR limit has created instability in liquidity. The Scheme 254 of the government on restructuring the banking system aimed to control credit growth of state-owned commercial banks in accordance with resources in terms of scale and maturity structure, in order to gradually reduce LDR to not more than 90 percent until 2015 to prevent liquidity risk. Thus, the data of SBV showed that this target was not completed. In 2015, both mobilisation and lending were imbalance when credit growth rate (13.59 percent) was higher than mobilisation growth rate (18 percent). The continuous increase in interest rates of commercial banks showed that the liquidity of the system is no longer as abundant as in the past. Although Circular 36 previously loosened the ratio of using short term funds for medium and long-term lending to 60 percent, SBV is amending this regulation and plans to reduce this ratio to 40 percent, in the context when commercial banks have the boosted mobilisation activity. Since the operational objective of commercial banks is to ensure safety and profitability, creating a solid capital fund for sustainably development is essential. However, the mobilisation funds of commercial banks are fairly limited, while the capital raising is difficult and competition in attracting deposits is increasingly fierce. In the latest report of Moody’s Investors Service, the credit rating agency forecasted that in 2016, the lending funds of banks will continue to fall when the credit growth and risk provisioning outpace mobilisation growth. Furthermore, Vietnam banks will have fewer capital mobilisation channels from external environment, due to the limitations of domestic market and the limits on investment ratio of foreign investors in banks. With the shortage of medium and long-term funds and the very high net LDR, a financial expert said that in 2016, some banks, particularly state-owned banks, will be dependent on interbank funding and funding channels of SBV such as the Open Market Operation (OMO). In order to improve this situation, banks must apply more competitive capital raising policy. Meanwhile, the impact of liquidity on interest rates have been predicted. SBV said that the agency will flexibly inject and withdraw capital, reasonably regulate liquidity via OMO and other tools, in order to support credit institutions in supplying capital to the economy without interruptions. In addition, SBV will regulate the interbank market reasonably and in line with interest rates on market one, and ensure liquidity for the entire system, in order to facilitate the stabilisation of deposit and lending rates while maintaining inflation control and not putting pressure on the exchange rate.